Killer Characters: DOING THE SINC BLOG HOP! DOING THE SINC BLOG HOP! So welcome to the new September! This is part of the SINC September Blog Hop, just a little late. However, my author was tagged in Sept. so this should still qualify. Since this is the blog site where the characters take over, I’ve decided to conduct an interview with my author, Erika Chase. In getting to know a bit more about her, you might find out a lot about what makes us, her characters, tick. So let’s get started. Question 1: Which authors have inspired you? A: A whole variety of authors can share the blame. Let’s start with Carolyn Keene and my years of submerging myself into the world of Nancy Drew. 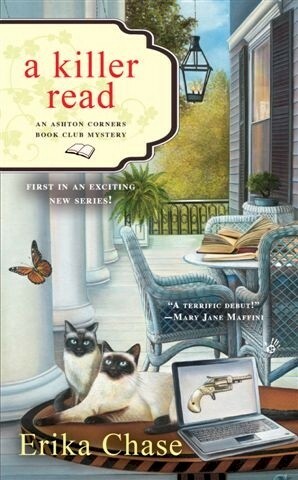 Then, progress to Agatha Christie (the master cozy writer), and P.D. James, of course. 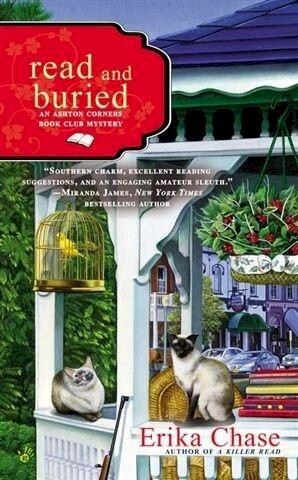 But the ones who nudged me into writing cozies are Carolyn Hart with her fabulous Death on Demand series, and Nancy Pickard, whose Jenny Cain series I devoured. Those were my first days of membership in SINC (Sisters in Crime) and also, Malice Domestic. Others who inspired were Susan Dunlap, Joan Hess, Gillian Roberts, Lucille Kallen, Jane Dentinger, and Clarissa Watson. I could go on because I love reading but I know that space is limited. Next? 2: What’s the best part of the writing process for you? What’s the most challenging? 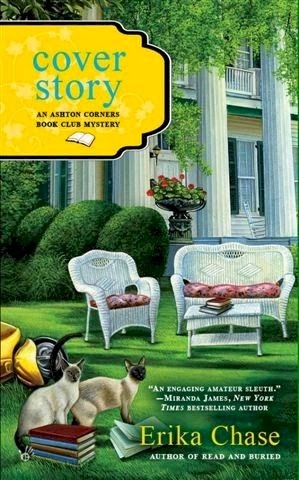 A: The best part is spending time with my favorite characters (I hope the Ashton Corners Mystery Readers and Cheese Straws Society is taking note!) I get to spend my days with them, sure, getting them into trouble and out again, but also being a part of the friendships that are evolving. I do love creating plots! The most challenging is trying to get those same characters to follow the paths I’ve chosen for them. They seem to have minds of their own. Equally challenging is the promotion part – hours are needed for this and they are hard to find. 3: If you were to mentor a new writer, what would you tell her about the writing business? A: Stick with it! Persistence pays off in the end but that end may be a long way off. Just do it! Okay – there y’all have it. Erika’s chance to have a say on Killer Characters. For more authors blogging about their writing, check the Sisters in Crime site, http://www.sistersincrime.org/BlogHop and/or @SINCnational hash tag #SincCBlogHop.